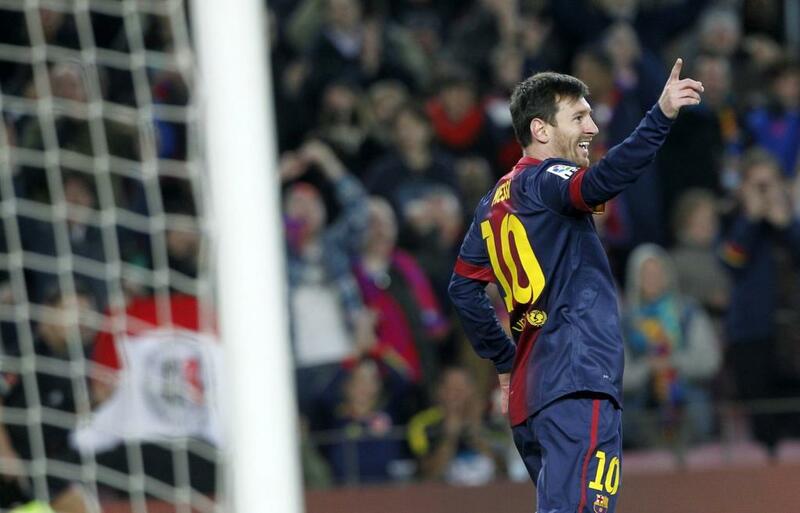 The first Clasico of 2013 ended in a 1-1 draw at the Santiago Bernebeu in the first leg of Cop Del rey. Early in the first half Cesc put us ahead at the start of second half but Varane equalised for Madrid with ten minutes left on the clock. We do go into the second leg at home with an advantage of an away goal. But we would have loved to take the win. We did really have some serious chances but failed to take any. In the end a 1-1 is a fair result as both teams fluffed a host of chances to score in a fast paced encounter.Jordi Roura went with a very much expected line-up with Pinto, Alves, Pique, Puyol, Alba, Xavi, Busquets, Cesc, Pedro, Messi and Iniesta. Valdes, Mascherano, Adriano, Soong, Thiago, Alexis and Villa started in the bench. Real Madrid had Diego LLopez, Essien, Varane, Carvalho, Arbeloa, Xabi Alonso, Ozil, Khedira, Callejon, Benzema and Ronaldo. in the starting eleven. Lionel Messi and Cristiano Ronaldo are in hot goal scoring streak coming to this match. The stage is all set for the resumption of the battle in the year of 2013. Tomorrow night FC Barcelona and Real Madrid will play their first clasico of 2013 at the Santiago Bernebeu in the first leg of Copa Del Rey semi-Final. The date of the second leg stands as the testimony towards the brilliant organisational capability of the Spanish League organizers. The first leg will be held tomorrow i.e the 30th of January, meanwhile the second leg has to wait till the 27th of February. Don't ask me why the second leg is not played next week as the usual practice. Only God could give you an answer. Anyways for the record, there is no action taking place next week. With their performance in the weekend, Ronaldo and Messi has upped the ante and expectation into this match. To make it simple, for many this is just another battle between the Lionel Messi and Cristiano Ronaldo. FC Barcelona bounced back from their last week surprise defeat against Real Sociedad with an emphatic 5-1 victory over a ten men Osasuna. Lionel Messi scored four goals and Pedro scored once for Barca. Lionel Messi has now scored 33 League Goals this season. He also has wrote a new record of scoring in 11 consecutive La Liga matches. David Villa whose future at the club is very much the talking point of the season got a rare start. He partnered Messi and Pedro in attack. The midfield had Xavi, Busquets and Thiago. Alves, Puyol, Mascherano and Adriano formed the defense. Valdes was on the goal. Iniesta, Cesc, Alexis, Alba, Song and Pinto started from the bench. FC Barcelona win the Copa Delr Rey QF with Malaga with an aggregate scoreline of 6-4. Barca will be facing Real Madrid in the semi-fianl of the competition. FC Barcelona booked their place in this season's Copa Del Rey semi-final with a hard fought 4-2 victory against Malaga away from home. Courtesy of the 2-2 draw in the home leg, we had to win and we surely did that with a aggregate score of 6-4. We now face Real Madrid in the semi-final, the first leg of the final will be held next week at the Santiago Bernebeu. That match could be one to savor as it's been sometime we had a Clasico and we do play the second leg at home, which gives us a huge advantage. In a tricky match we went ahead early with Pedro scoring from a header. But Malaga equalised immediately. Pique put us ahead once again in the start of second half, but we still managed to lose that lead also. But goals from iniesta and Messi made sure that there were no more hiccups and we will not remain without a win for three match in a row. In a match we had to win Jordi Roura went with a starting line-up of Pinto, Alves, Pique, Mascherano, Alba, Xavi, Busquets, Cesc, Iniesta, Pedro and Messi. Villa, Aexis, Thiago, Song, Puyol, Adrianoand Valdes made the bench. "Football is strange; Football fans are stranger,but strangest are the Journalist who writes abut football". The fore-mentioned statement could act as a bible when dealing with Catalan media especially the likes of Mundo Deportivo and Sport. Otherwise how can you explain this. A few months back when Jonathan Dos Santos decided to stay in the club and fight for his chances, they went after him. Now it's the turn of Victor Valdes, who has made it clear that he will not be extending his contract beyond 2014. They call him disloyal, ungrateful, foolish, stubborn etc for giving the management enough time to prepare to find a replacement. What did these two players did to deserve this? Valdes didn't speak behind our back nor did he tried the blackmailing tactics widely used to get a better deal. He may not get a better deal than what he had at Barca anywhere else. But he still wanted to move away from the club, the reasons all personal to him and he don't owe anyone any explanation. Barca continued with their excellent start of the season with a well fought 3-1 victory against Malaga away from home. At the half stage of the season, we now have a huge 55 points out of 57 points. We have won all our away games this season in La Liga. Lionel Messi opened the scoring in the first half, Cesc Fabregas and Thiago completed teh scoreline for Barca. With Villa ruled out due to injury, Tito went with a front three of Messi, Pedro and Iniesta. Xavi, Cesc Fabregas and Busquets made the midfield. Alba, Pique, Mascherano and Alves made up the defense. Pinto, Puyol, Adriano, Song, Thiago, Sanchez and Tello made up the bench. In the end it was the worst kept secret of the Year in the World of Football. Everyone knew who will win this one. There wasn't much surprise this time around. Earlier at the start of the season, when the UEFA European Best Player of the Year award was announced there were genuine nerves. But with Messi continuing his spectacular season, there was only one winner - He Himself. Even his fiercest rivals knew it. Ronaldo kind of conceded the award - he said life goes on even if he didn't win the award in the press conference held earlier in the day. That was a huge change from his on-stage pitch for himself during the UEFA Best Player of the Year award ceremony. 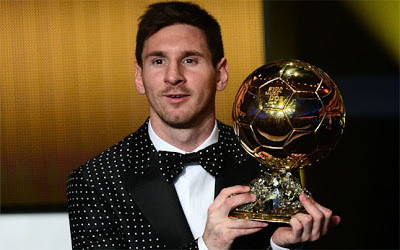 Technically heddin't win teh Balon d'Or for the fourth time. The Balon d'Or has been combined to a FIFA Balon d'Or from last year. He won it last time and there is no way anyone is going to win this with him around in coming years. Wishing all the Readers of All About FC Barcelona a very Happy and Prosperous New Year. 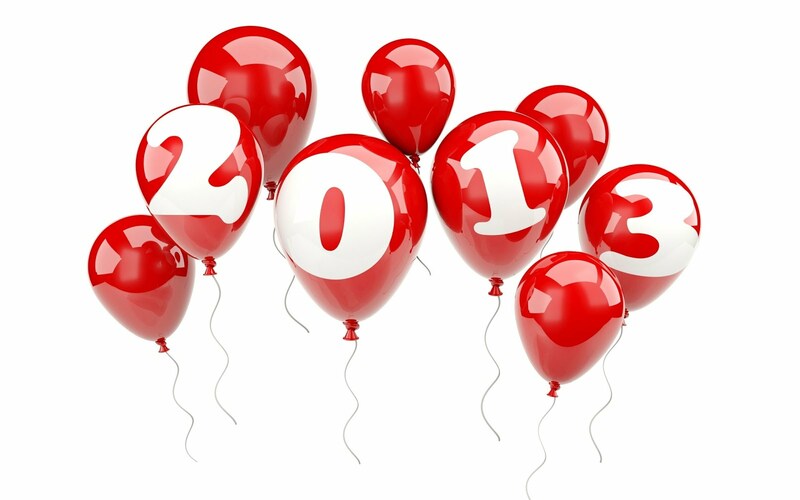 Let the magic of the New Year usher upon everyone and our beloved Club.